Sewer Repair NJ – The sewer is one of the last things you will want to malfunction within your home. Although you might not think too much about your home’s plumbing under normal circumstances, an issue with your sewer will make your plumbing the only thing you think about. If you are in need of sewer repair, you cannot afford to reach for a solution that will not permanently fix the problem. 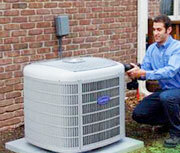 At Aladdin Plumbing & Mechanical, our experts can put this nightmare behind you. As your solution for sewer repair in NJ, we do not look to cut corners or find some temporary fix. 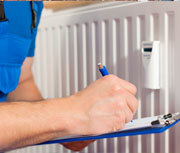 Our professionals are committed to providing you with affordable plumbing service by performing thorough sewer repairs. Before any steps are made to fix the sewer, our experts analyze the situation to find the root of your problems and pick the most efficient plan to solve them. Anything less than our full effort and attention to detail will just end up costing you more; we want to avoid this because it is unfair to our customers. 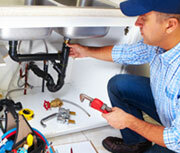 With our years of expertise in the plumbing industry, you will not be disappointed. Keep your sewer as something you do not have to think about too often. 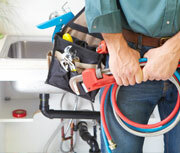 Let us make sure that your plumbing stays that way with our many years of expertise. If you would like to find out more about our New Jersey sewer repair and receive your free quote, call Aladdin Plumbing & Mechanical at (800) 664-8454.